The Hakka are an ethnic group from the southeastern Chinese provinces. Many people in Taiwan (including my brother-in-law) are members of this group and speak some version of the Hakka dialect. Hakka cuisine is the cooking style of the Hakka people, who were once nomadic and eventually came to adapt their culinary styles to the regions where they travelled. Some of the most popular Taiwanese dishes, such as salt-baked chicken, stuffed tofu and lotus-leaf rice, originate from Hakka cuisine. 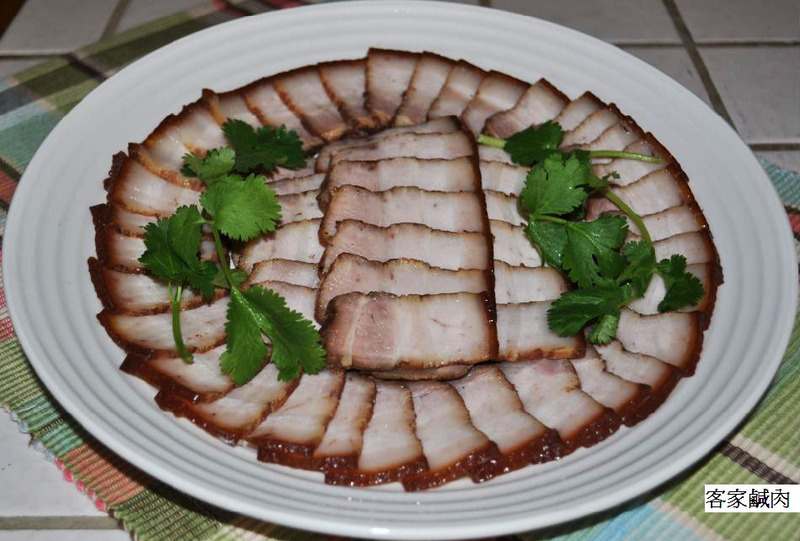 Pork belly is a staple of many Taiwanese dishes, as some of you may already know. 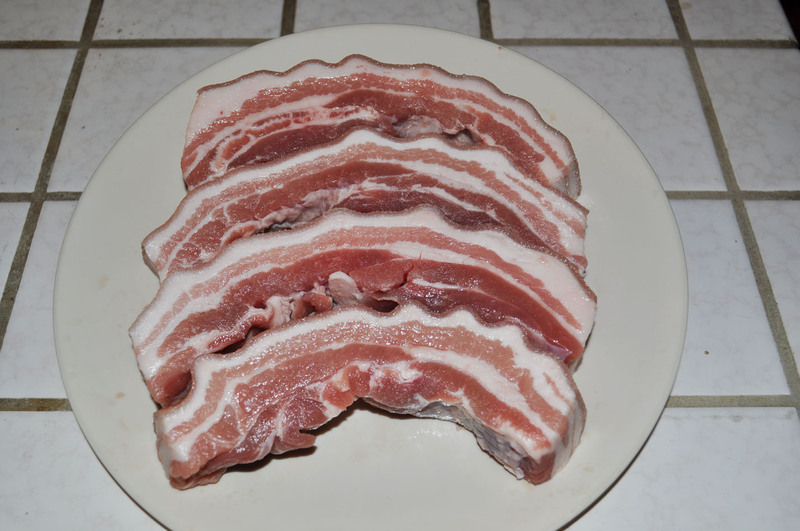 This recipe for Hakka bacon uses Hakka-style salting techniques to produce tender, savory slabs of pork belly. Marinate pork strips in coarse salt for at least three hours. Keep the meat in the refrigerator during the marination process. Rinse the pork belly and dry with a paper towel. Marinate the pork strips with the rest of seasoning for at least 6 hours. Again, keep the meat in the refrigerator as it marinates. After you have marinated the meat, transfer the pork strips and the marinating sauce to a skillet or wok. Add 1 to 1-1/2 cups of water, then cook covered over medium-low heat until the meat is thoroughly cooked. This should take 40 minutes. Slice the pork when it cools and serve. What is pork belly, and where can I get it? You can make large quantities of this dish and store in freezer. This dish is a convenient pairing for a variety of different dishes. You can slice and serve it, stir fry the pieces with vegetables, add to a piping-hot bowl of ramen, or use it to accent a platter of fried rice. The sauce can also be strained and saved for later use, for example, as an flavor-enhancement for a dish of dry noodles.